We are just 12 days into the New Year and I’m seriously beginning to regret my dry January resolution. It’s not the alcohol that I miss so much as the taste, the dry sweetness, the scent, the unwinding into the sofa, the feel of the cold glass in my hand. And yes, if I’m honest, the alcohol. I promised myself a healthy start to 2017. I’ve joined up for beginners adult ballet (more of this in a post to follow but it didn’t help last week when the tutor suggested that a glass of wine was a good way to relax muscles after class). I’m also trying to eat more raw foods and cut-out dairy. It isn’t quite going to plan. Over the weekend I found myself scoffing three penguin biscuits in a row in a desperate attempt to replace lost wine calories. Tonight, after ballet, supper is baked potato with cheese. I know I don’t have to do this. No-one is forcing my hand. I’m not overweight but I do drink one or two glasses of wine every day. 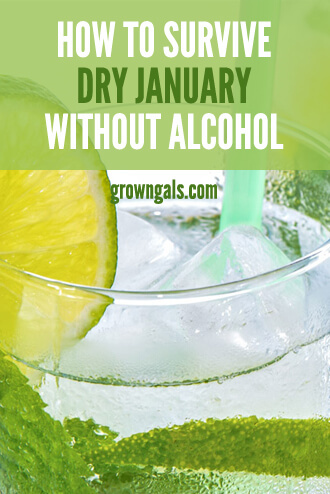 The way I see it is – if I cannot get through one month without alcohol I have a problem. If I do keep the pledge and manage a five-day detox – I’m going to feel great. Cleansing the system is meant to work wonders on menopausal symptoms. And I want to feel good about myself more than I want a drink. Replace wine with a mocktail. 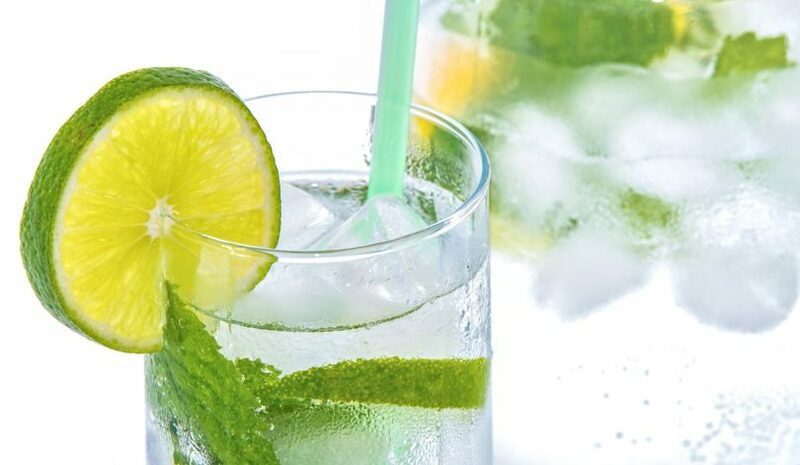 I squeeze half a lime into a large glass, top-up with a slightly sparkling mineral water, add ice, a sprig of mint and a few slices of cucumber. I sip it through a straw and try to forget the espresso Martini recipe I discovered before christmas. Buy posh cordials. I love elderflower cordial in the summer (see my post on how to make your own). Luckily you can buy good quality elderflower, ginger and spiced berry cordials at supermarkets all year round. These make a great substitute for alcohol. Plan for parties. Alcohol is so seductive when it’s being passed around the dinner table in front of you. If I am going to a party or just to a friend’s for dinner I make sure I take along a nice dry apple or grape drink. If it looks like wine it will make it much easier to stay dry. Drink don’t eat raw foods. I need to get the juicer down from the top shelf, give it a dust and start making fresh juices from raw beetroot, carrots, ginger and apples. There are lots of great recipes for cleansing juices and smoothies on the fabulous Deliciously Ella website. I recently suffered stomach cramps after binging on celery and apples – I recalled, too late, that raw fibre can be difficult to digest. Sticking it through a juicer makes a raw food detox so much easier on the gut. Fill the fridge. A detox will only work if there’s something wonderful to munch on when the going gets tough. Luckily I love to snack on berries, grapes, nuts and raisins. I will limit the first 24 hours to hot lemon, herbal teas and juices. After this I’ll introduce fish, fruit and vegetables as well as oats and healthy grains such as quinoa. There will be no bread, dairy or pasta. Later tonight, after that giant baked potato, I’m going to make myself a mocktail and plan my detox start date. Wish me luck. I”ll be posting about the results in a few weeks time. Oh and wishing you all a happy and healthy New Year.